Some homes are located on a spacious lot which allows them to have more floor area for their house. But not all homeowners actually want a spacious home. 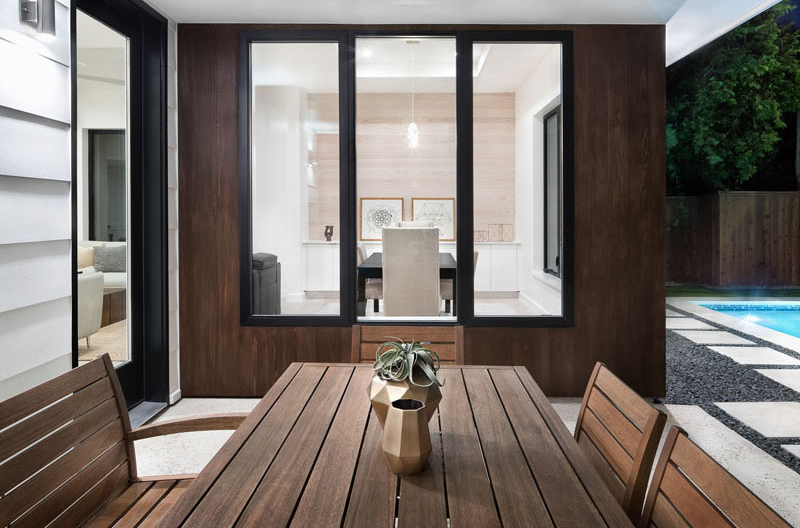 There are some who prefer to have a small floor area but with a larger outdoor space. This way, they can have a good time outdoors. 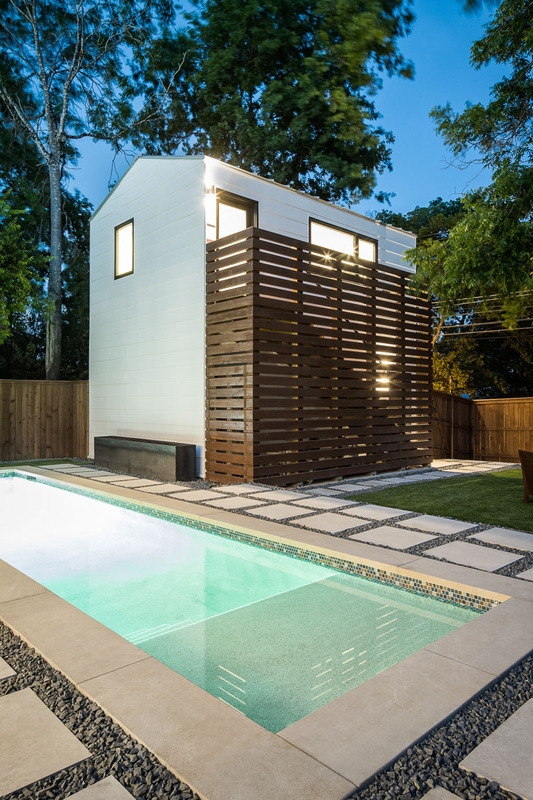 Wouldn’t it be nice to have your own pool and relaxing backyard? This is what you will see in the Avenue F residence that we are going to feature today. 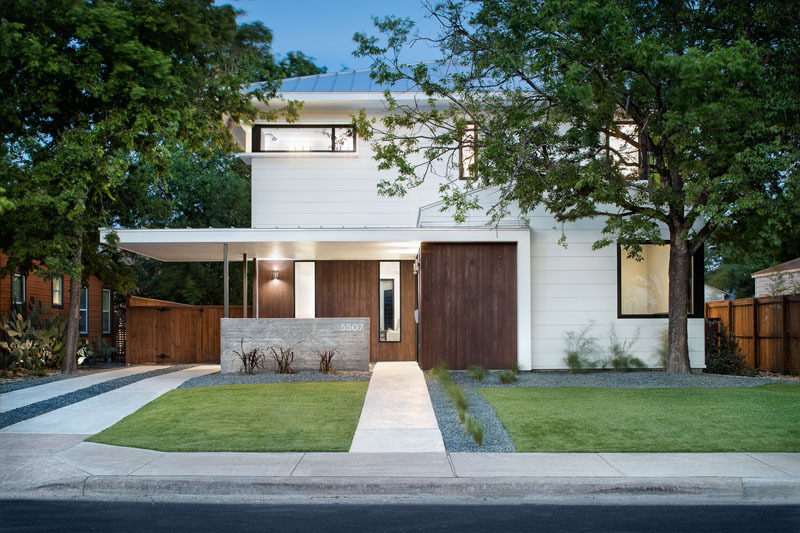 The home is located in the North Hyde Park neighborhood of Austin, Texas. And it looks really cozy! Take a look! Unique feature: The house features a separate guest house as well as a pool area. 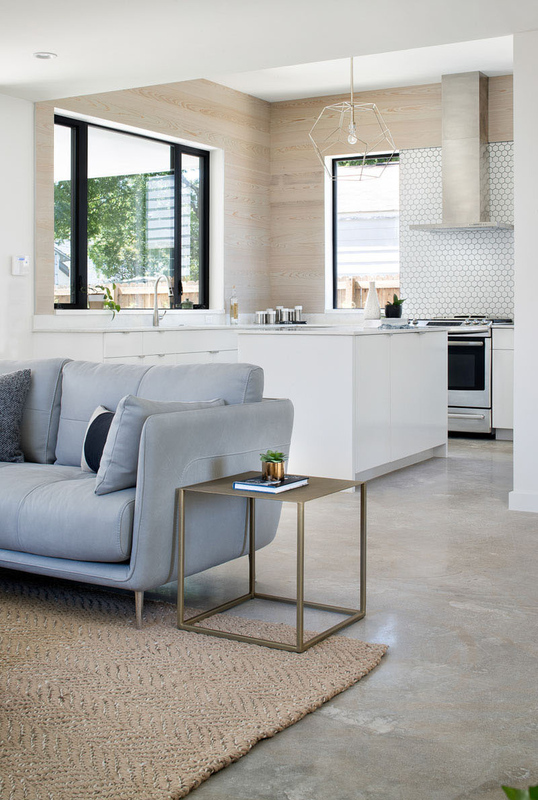 The house was designed for a family who desired a home that would be welcoming and obliging to their frequent visitors. It features intersecting volume that continues a low profile across the street edge. This reduces the impact of the two-storey main volume beyond it. The project is conceived as a transition between exterior and interior realms. It features a generous covered front porch which extends to a carport canopy. 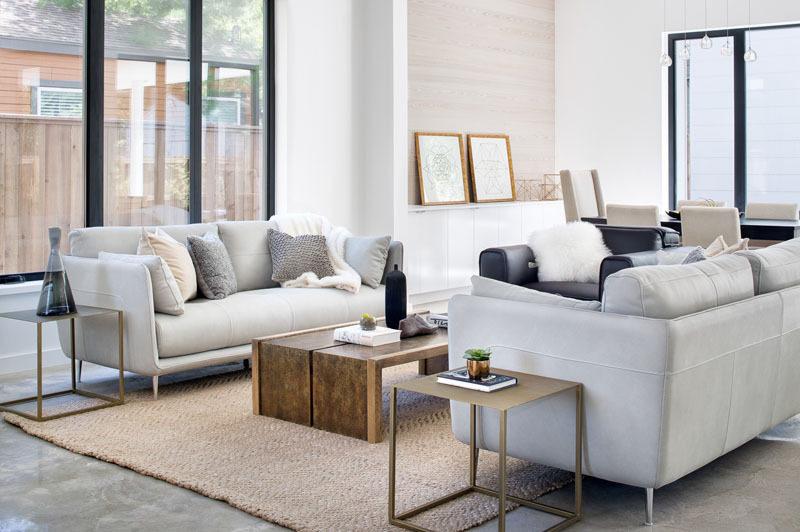 Inside the house, the interior is designed to be bright and airy. It has a calm and relaxing environment because of its choice of colors and furniture. 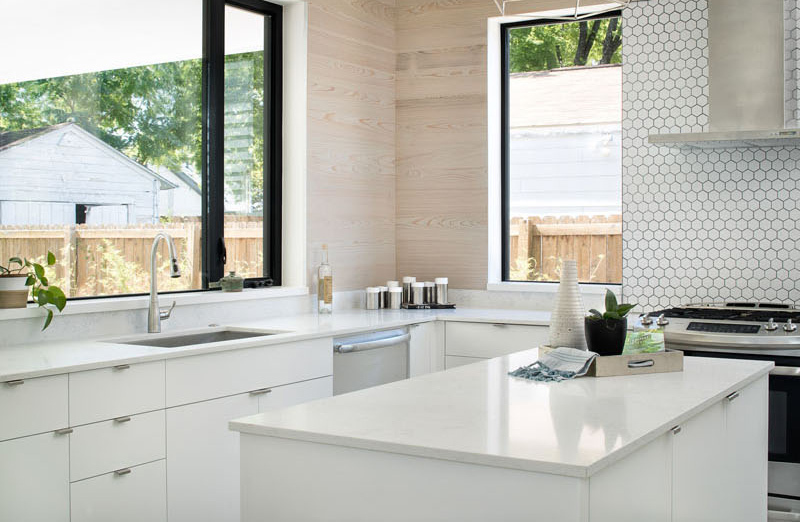 In the kitchen, one can see bright white cabinets and countertops which are paired with light wood and hexagonal tiles for a contemporary look. I also love the pendant light here located just above the island. You can get a closer look at the kitchen with light wood walls and hexagonal backsplash. There are also large windows around it which makes the space bright. 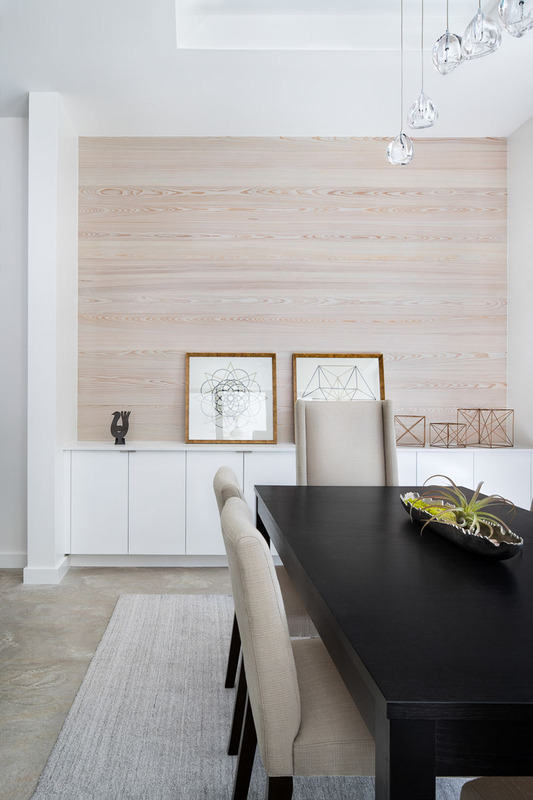 The dining room also used the same wood that is used in the kitchen for an accent wall. Built-in white cabinets provide additional storage in the house and it acts as a space to display art and decorative items. 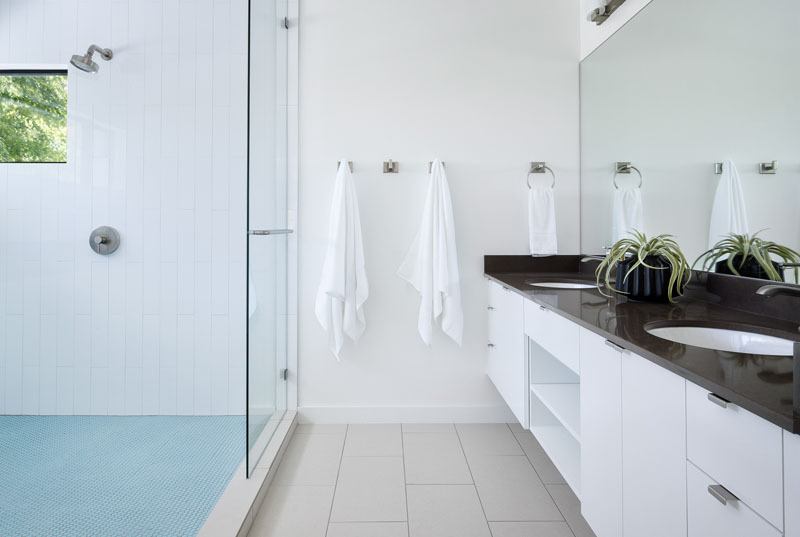 This is the master bathroom with a large double-sink vanity. This provides plenty of storage that runs the length of the wall. The shower is partitioned off with a glass shower screen. 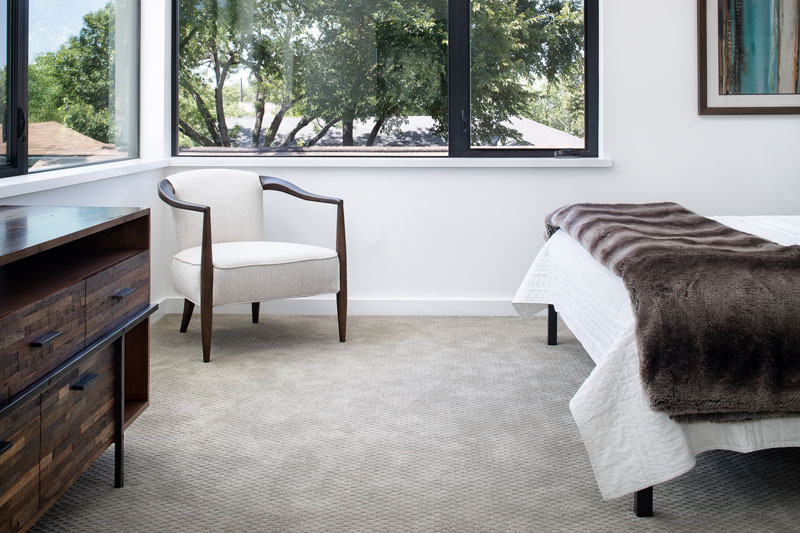 And this is the master bedroom featuring black-framed windows that provide views of the backyard and which fills the room with natural light. 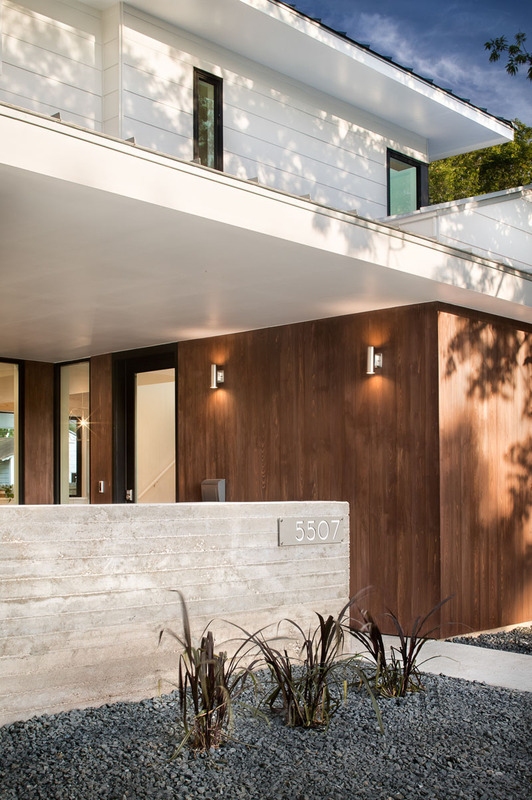 The home’s master suite overlooks both the front and rear scenes, perched among the tree canopy, and completing the facade compositions with tight modern detailing. The backyard is also home is where the detached guest house is located. It has a wood slat screen wall which hides the exterior stairs. Also seen in the backyard is a lap pool and fire pit. This would be a nice place to relax! This is the facade of the house where you can see the house number. Notice also that it used a combination of materials like concrete and wood. Do you like this idea? You can also try having one like this wherein the guest house is separated from the main house. 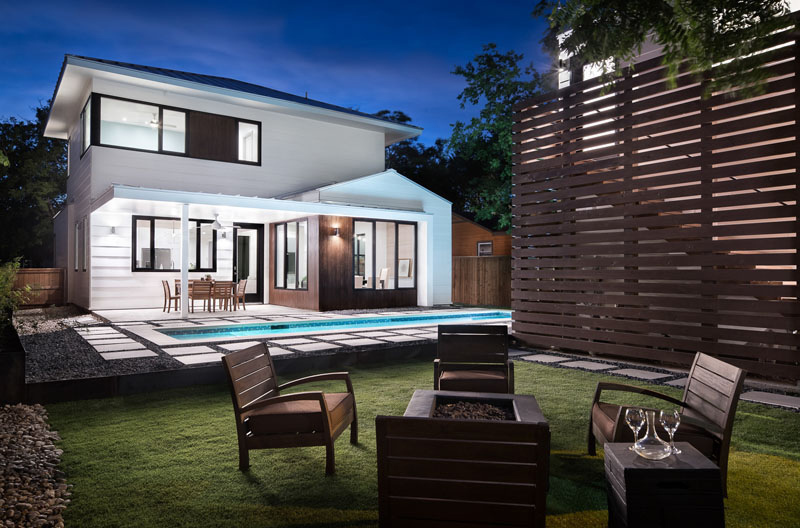 This project is designed by Clark Richardson Architects and they did an amazing job for the project. Notice that the house has everything one needs in it and it has a design that is just simple but beautiful. The entry into the home is compressed by a spine running the length of the home allowing the primary spaces to unfold along a subtly defined axis. The living and dining areas are directly linked on one side while the kitchen and stair are the opposite. The spine leads to a covered back patio, mimicking the front, which offers the same soft transition into the exterior. Even the guest house also mimics the look of the main house to create a coherent design. What can you say about Avenue F?